Makes me want to get on a plane! Coral Reef of the island of Funamadua, Gaafu Alifu Atoll, the Maldives. Everything is nearly perfect on this tiny tropical island located about 67 km from the equator in the Indian Ocean. It has a beautiful coral reef with a very active underwater life, exotic jungles among beach and garden villas, white sand, blue sky, emerald water, fantastic sunrises and sunsets—everything you imagine when someone says the magical word “Maldives.” However, chances are that excluding sunrises and sunsets, the rest of the local beauty will be destroyed in the near future. Why? 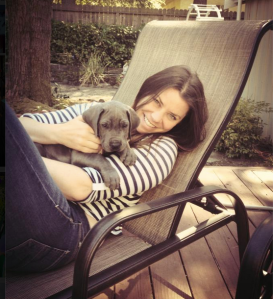 PORTLAND, Ore. — A terminally ill 29-year-old woman has chosen November 1 as the day she will die. 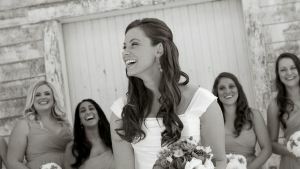 Shortly after her wedding in 2013, Brittany Maynard began experiencing debilitating headaches. While on vacation with her husband in January, Brittany was diagnosed with grade II Astrocytoma, a severe brain tumor. Doctors told her she had 10 years left to live. Following the original diagnosis, doctors said her cancer had progressed to Glioblastoma multiforme, the deadliest form of brain cancer. After treatment, the average life expectancy is only 14 months.